Description and Purpose of this page. 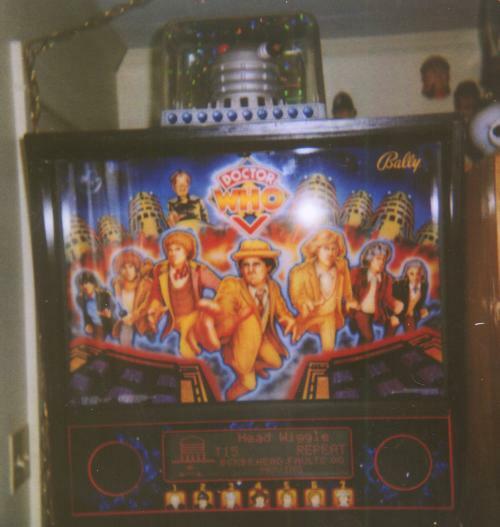 The Doctor Who pinball machine has a Dalek head on top of the backbox, in under 100 prototypes, this head contains a motor to allow for the head to swivel from left to right in coordination with the speech. 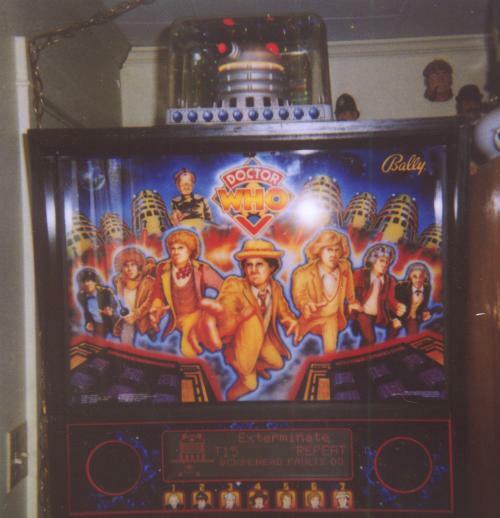 All Doctor Who pinball machines have the software necessary to control the Dalek head. 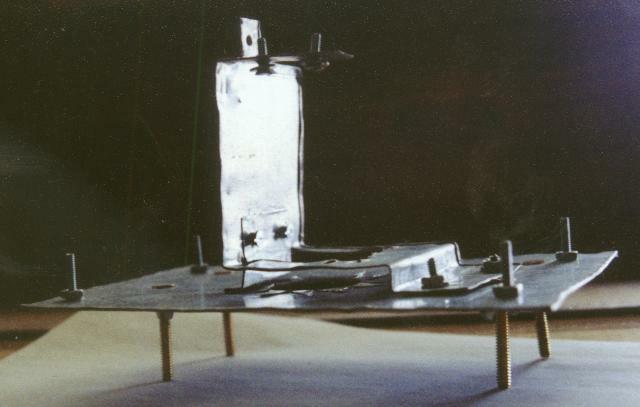 Unfortunately, apparently due to cost overruns, the motor and all associated wiring was left out in all but these few prototypes. 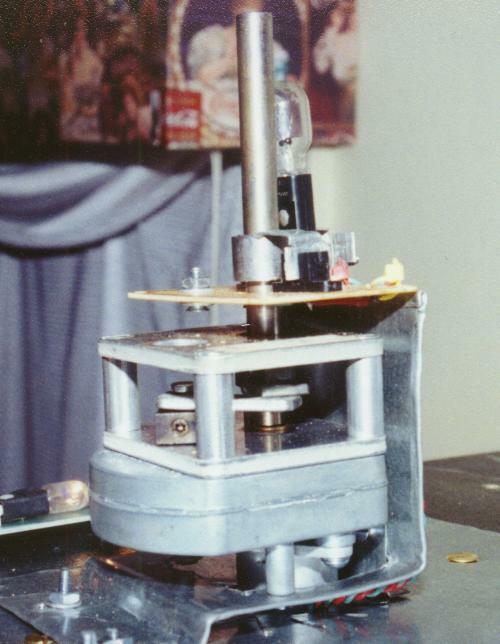 In all non-prototype machines, the top of the head is simply glued to the bottom and a flasher is the only thing mounted inside the head. 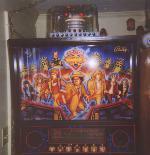 This page contains the info that I collected, and my method of creating and installing a motorized Dalek head and all associated additional circuitry in my Doctor Who Pinball machine. Several of the smaller pictures have links to larger pictures which will open in their own window with some pointers to parts. Under most circumstances, I tried to do as professional a job as I could do. I hope this is reflected in the pictures on this site as well as the descriptions. Order in which I created the Dalek head. First testing of Opto switch. Creating all the connections for the Motor and Switch. Splicing the Opto's Row/Column and Solenoid Power. Adding wiring for power and ground for the Opto Switch. Adding the wiring for the Motor control wire. Creating all the connections at the plug and harness. Connections for the Main Plug and Harness. Building the mount for the Motor, Switch and Flasher. Getting a motor for the mechanism. First placement of items on mount. Final mounting of motor, switch and flasher on pin. 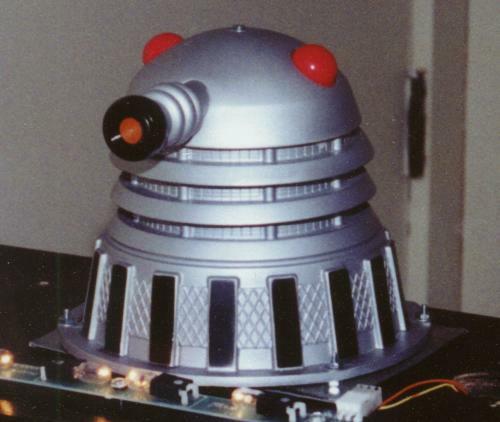 A finished motorized Dalek head! Note: Where not otherwise noted, part numbers in parenthesis are Radio Shack part numbers. 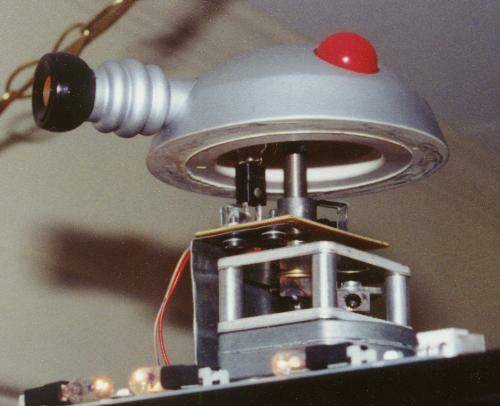 Pfutz also has a page on info about the motorized Dalek head, with a detailed pictorial disassembly of an original prototype mechanism and MPEG's of operational heads. You can get to that page, here. 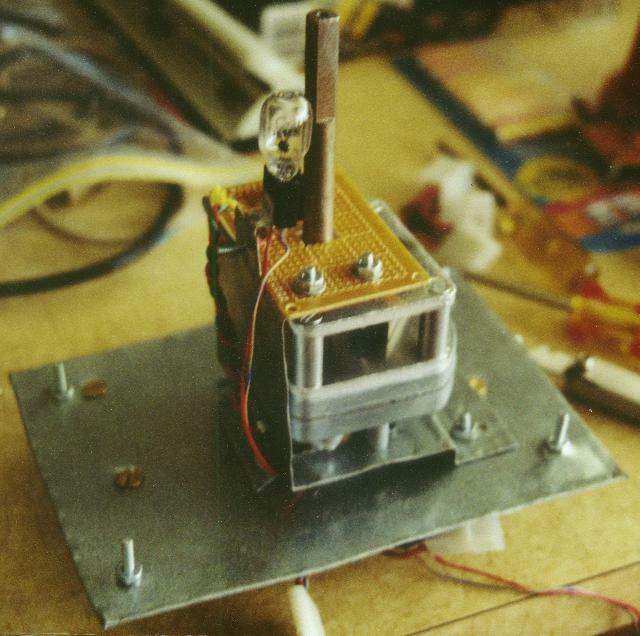 1: Building the Opto switch. 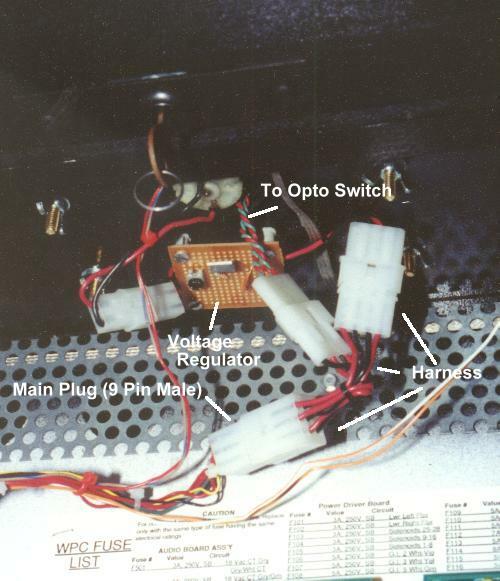 During first testing, I hadn't yet connected all the wiring as detailed below, so the Opto switch was connected with jumper wires. 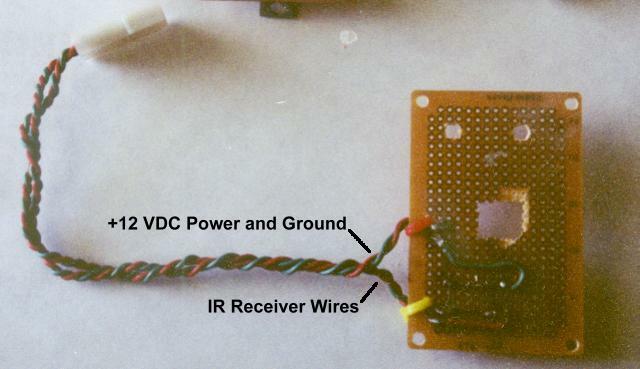 +12 VDC applied directly to the IR Receiver will destroy it pretty quickly. This was from experience as I had to replace it once. 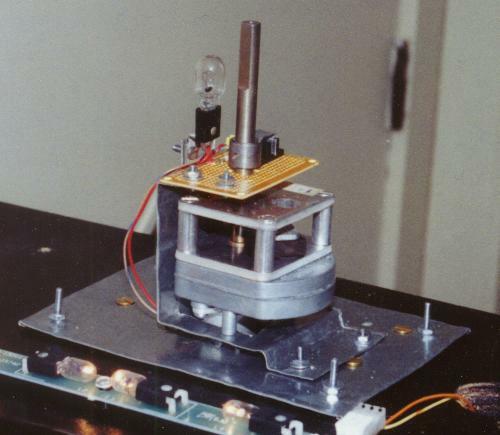 2: Building the Voltage regulator. 3: Creating all the connections for the Motor and Switch. 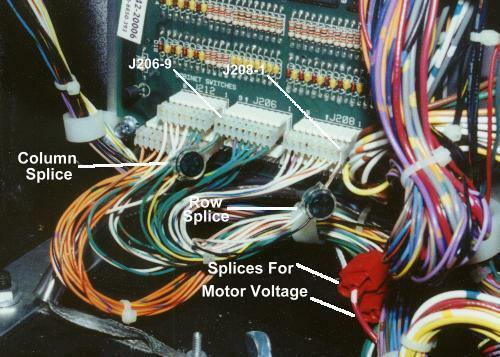 Opto switch's Row/Column and the Solenoid Power must be spliced from J208-1, J206-9, J107-5 and J107-6. 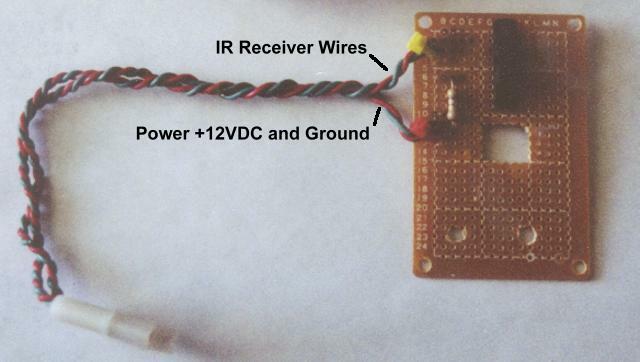 +12 VDC power and ground for the Opto Switch must be added from J118-2 and J118-3. 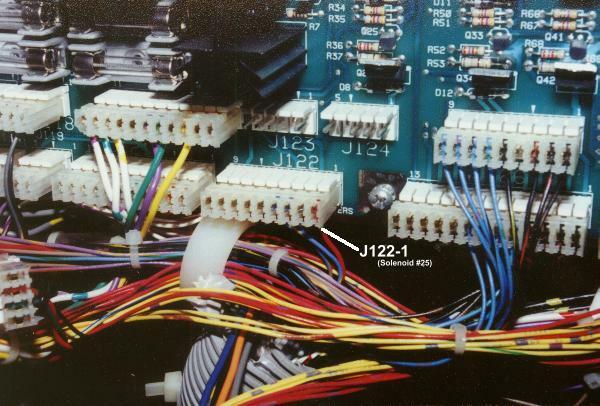 Wiring for the Motor control must be added from J122-1. 2 Telephone Splice Connectors (64-3080), one for each of the two wires for the opto switch. 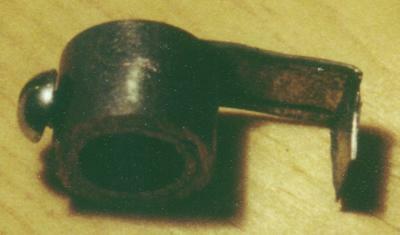 2 Tap-In Squeeze Connectors (64-3053), one for each of the two +20 VDC wires for the Motor power. For splicing of Row/Column, I went just a little downstream of where the board connections were and made the splice. For splicing of Solenoid/Motor Power, I followed the wires down to just before they go into the lower area which is a better area in my opinion for splicing them. 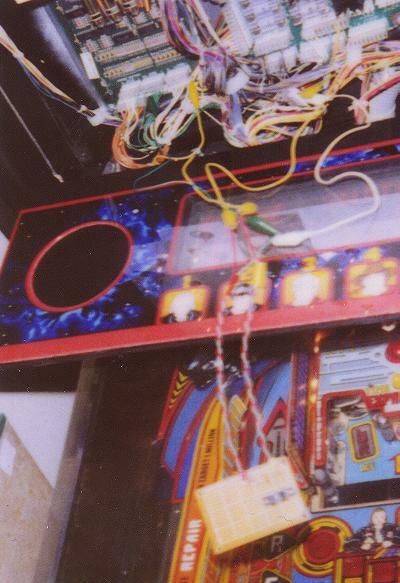 For the wiring, I used individual telephone line wire for the Row/Switch and some larger gauge wire for the motor voltage wire, all of which I ran alongside the preexisting wire to a plug at the top of the backbox. Prexisting Connector Plug for +12VDC Power from the correct pins which originally run power to the lights in front of the Dalek Head. I simply pressed the two new wires into the plug connector alongside the preexisting wires. For the wiring, I used 2 pieces of normal gauge hookup wiring which I ran alongside the preexisting wiring to a plug at the top of the backbox. 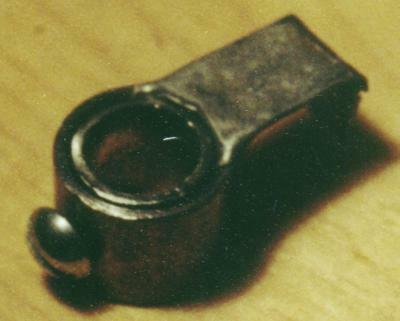 Original plug connector at the board for the Motor control(Solenoid #25) - an empty connector location on the plug. I simply pressed the new wire into the plug connector at the correct location. For the wiring, I used a piece of normal gauge hookup wiring which I ran alongside the preexisting wiring to a plug at the top of the backbox. 4: Creating all the connections at the plug and harness. 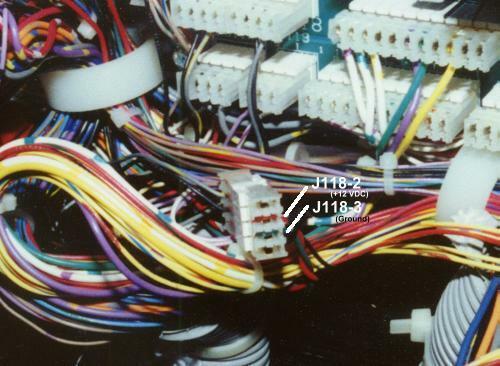 After the 9-Pin Plug is created, a 9-Pin (Female) Socket must be used with a 4-Pin socket (Female) and a 4-Pin Plug (Male) to make a harness that will go between the Main plug, the Opto Switch and the Voltage Regulator. 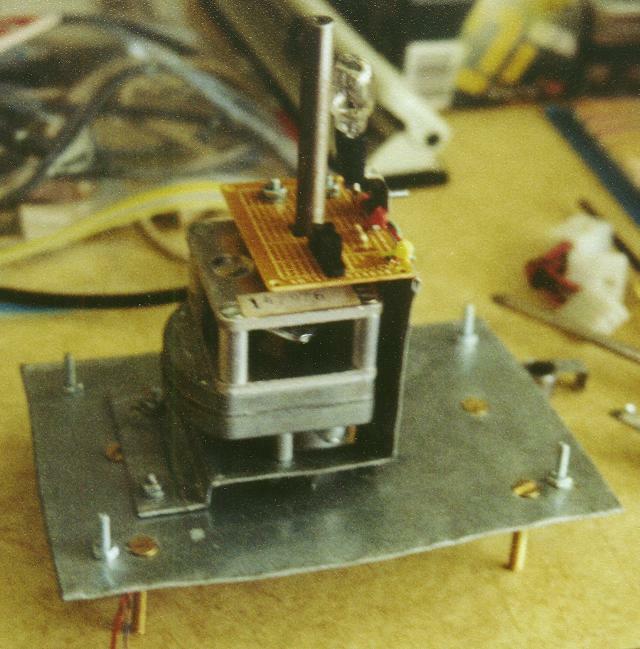 5: Building the mount for the Motor, Switch and Flasher. 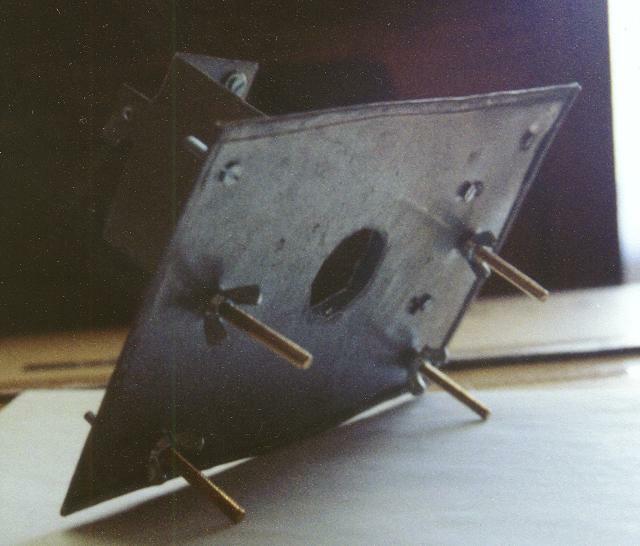 Creating the mounting plate and mount mechanism. Mostly just sheet metal bent to the correct shape. As well as a few wingnuts. 6: Getting a motor for the mechanism. If lucky, you can still order one from Williams - You do have to go through a distributor to get one - I recommend For Amusement Only, as they have previously ordered these from Williams. 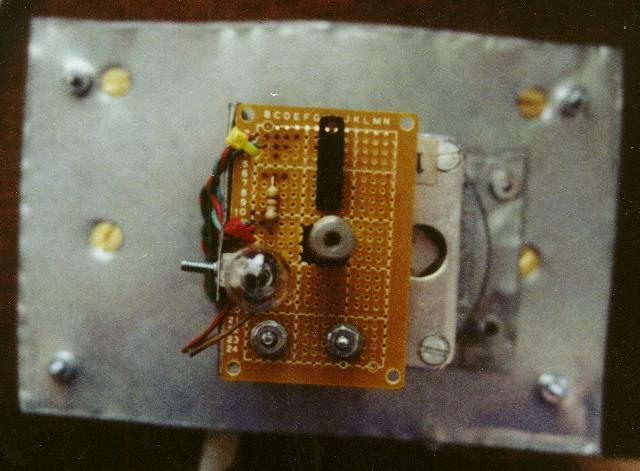 The motor includes the reciprocating mechanism and the rest of the system was reasonably easy to build around the motor. 7: First placement of items on mount. 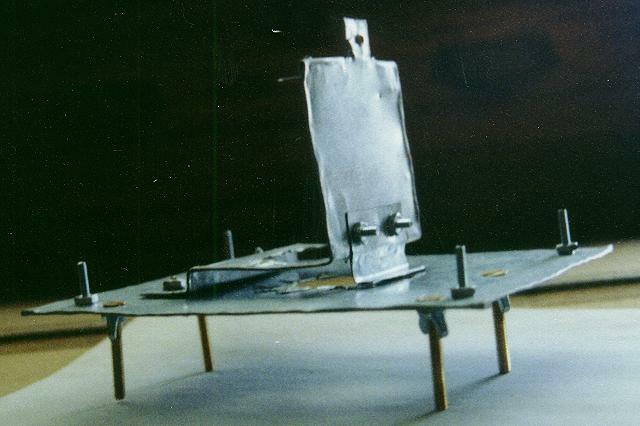 8: Building the Opto Separator. 9: Final mounting of motor, switch and flasher on pin. 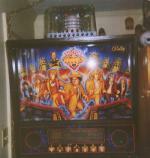 Here are a couple of pictures of the mount with the motor, switch and flasher installed on the pin. 10: Final testing and adjustments. This picture was taken after placing the top portion on the motor and testing the motion. 11: A finished motorized Dalek head! 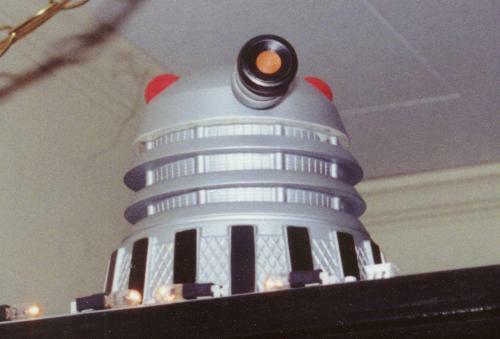 Various images of the Dalek head, just after final construction and in motion. After putting the bottom piece on and replacing the top, and while retesting the motor. After construction, the motor performs as it should - no faults are being counted.